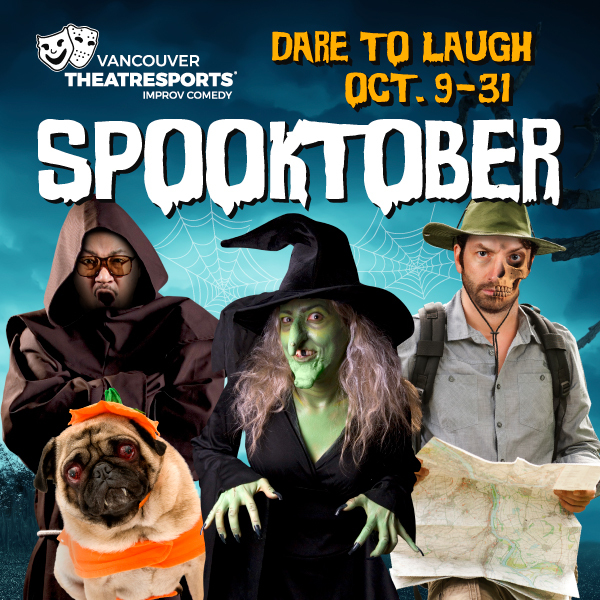 Whether it’s with a group of ‘ghoulfriends’ getting together for a night out, or a date with your bae, we dare you to laugh this October with a ‘spirited’ line-up of Halloween-themed shows October 9-31. Spooktober – a limited-run seasonal celebration of all things eerie features four different shows for a total of 11 ‘spell-binding’ weekly performances you’ll be dying to see. Monster Matches runs every Tuesday/Wednesday at 7:30 p.m. and Friday/Saturday at 9:30 p.m.
Cult Fiction runs every Thursday through Saturday at 7:30 p.m.
Scared Witless runs Wednesday/Thursday at 9:15 p.m.
What the Fright runs Fridays/Saturday at 11:15 p.m.